Tonight, as the name suggests, was an evening of comedy films all very nicely presented by Vince, our very capable syllabus secretary. The selection of films was really mind blowing, from an erratic Driving Instructor (very funny) to an equally funny spoof of a Spy Film. There was also much to learn from the assortment of films on offer regarding editing, all great stuff. One film that ran for ten minutes was a cartoon all all about 'Moles' and this was hilariously funny. Altogether a programme of twelve films were shown and as usual Vince was given thanks in the usual way, and all very well deserved too. It was another good night. The evening started off with the Theatre Organ rising up playing a medley of tunes. Well don’t all film shows start that way? Recorded at the Victoria Hall in Saltaire it showed the skill of a three camera edit and syncing the sound on a recording device. This was followed by a visit to North Wales and was entitled “Welsh Landscapes”. An old film taken in July 1966 on 8mm cine brought back memories of the official opening of the old cinema in Esholt where a victorian schoolroom had been converted by members of our club. This was followed by a trip to Saltburn where a cliff lift operates and is driven by the weight of water. A film about the manufacture of a cricket bat from the willow tree to the finished article. A series of films from our archives of 2008 started with a visit to the gardens in South Africa, A film to music depicting the song “Underneath the Arches”, A visit to the Yorkshire Film Archives explained their work in preserving old footage for posterity. An amusing film called “Down on Jollity Farm” and an animation of the old tale about the “Lion and Albert” was depicted and narrated by John Orrell. A club film “Holding on” was shown and demonstrated the co-operation from members of the Bingley Fire Brigade. Thanks to them for allowing us to use their facilities. Finally a film called Vital Spark, Crew of the fleet of Glasgow “Puffers” singing shanties and reciting poetry while they ply the Clyde and local Crinan canal. This programme replaced a demonstration evening which was cancelled due to the lack of public support. Mark Ashwell and Humphrey Casely-Hayford were the guest speakers for this evening. Mark was primarily a musician and film director whilst Humphrey was an actor and camera-man. Mark and Humphrey spoke of their different backgrounds and explained that they worked both together and individually on their mixed and varied projects in the professional world of television. Mark kicked the evening off talking about various projects that they were both involved with and with a vast selection of video films on a 'laptop' computer he picked out various projects to describe their work. It must be said not all the clips shown were to every-ones individual taste but the talk and story was more on the technical side of our hobby. They both spoke individually in between clips shown and it was an entertaining evening, but more to the point it was a real 'eye-opener. The costs and overheads for professional video is absolutely mouth-watering. On one minor project Mark explained that a camera used had a body costing £60,000 and a lens costing a further $40,000 before any other professional equipment was used, this was the reason that nearly all production equipment was 'Hired'. For me one of the most important remarks of the evening was that the ever increasing costings of production was producing less and less pro-rata professional improvement to video making especially as video making at 'club level' is getting better all the time for less and less. For the untrained eye, our club films would certainly match the video clips shown tonight. With the professionals camera costing in excess of £100,000 and our average club cameras costing £1,500 we can certainly hold our heads up high and it makes me very proud of the films our members make. After some extensive media advertising, Mercury Movie Makers gave their public show to a very responsive audience. Their was a good variety of films on offer and members and friends showed their appreciation in the usual way. 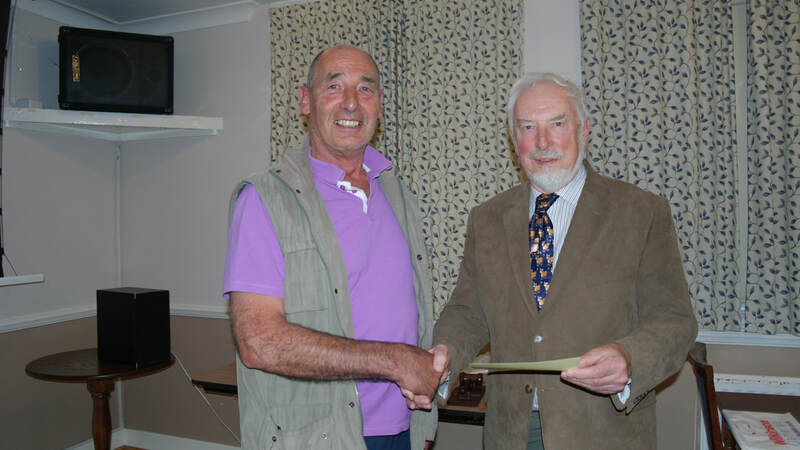 The event was presided over by club president, Bob Rowley who carried the evening with great aplomb and his usual wit. Members hope that anyone who attended and are interested in 'film-making' will attend our follow-up 'Work-shop' evening two weeks later on Wednesday 22nd November. There will be some films on offer and some editing techniques described and shown by fellow members. All will be made very welcome. followed by a quiz (which really did get members involved). After the quiz, tea or coffee with a choice of refreshments rounded off the evening. It was a very relaxed evening giving everyone a chance to have a good 'natter. 'I'll Be Watching You' was a lovely drama film produced by Jan and Dave Morton which was beautifully filmed with many creative camera angles and some great acting by the cast. It was a spooky film done to an opening theme of a song of the same name. The accompanying dialog was great and the twist at the end,...well you will just have to see the film for yourselves for as the judge said, you will always remember that closing line. 'RNLB Frederick William Plaxton' was an entirely different film about a life boat and an identical model lifeboat of the same name. The film was produced by David Myers and as it's the norm for David, it was beautifully captured to film and really well constructed. The viewer saw the real thing and would then see the model and its fair to say it could be hard at times to decide which was the 'real thing'. The icing on the cake for this film was that David got the model maker to do some great 'talking head' shots whilst describing various points of the film. David has produced some very good documentary films over the years whilst at Mercury but this was one of his best. It was a good win. This evening members of Mercury Movie Makers were entertained with a selection of transport films and although all the films were produced by the LMS Film Unit about the railways, all were entirely different with most of the films being produced around the early fifties and sixties with many being shot in black and white, so a lot of nostalgia was to be seen. The various films covered subjects like salesmen selling advertising space on the rail network along with seeking orders from various companies who would require transportation of their goods. Another film covered the subject of designing through to production of the very popular Hovercraft along with footage of the travelling public doing 70mph over the waves. There was also film of neglected and abandoned railway routes after the Beeching cuts being brought back to life by volunteer groups showing the sheer hard graft and determination of their members. The work involved included excavating and relaying replacement rail track along with signal boxes and more importantly finding 'Engines' and replacement rolling stock. It really was lovely to watch, but too little time to make notes, suffice to say, it was a good night's entertainment covering many aspects of the railway as it used to be, and it's all thanks to Vince Herke for putting it all altogether. Members showed their appreciation to Vince in the usual way. 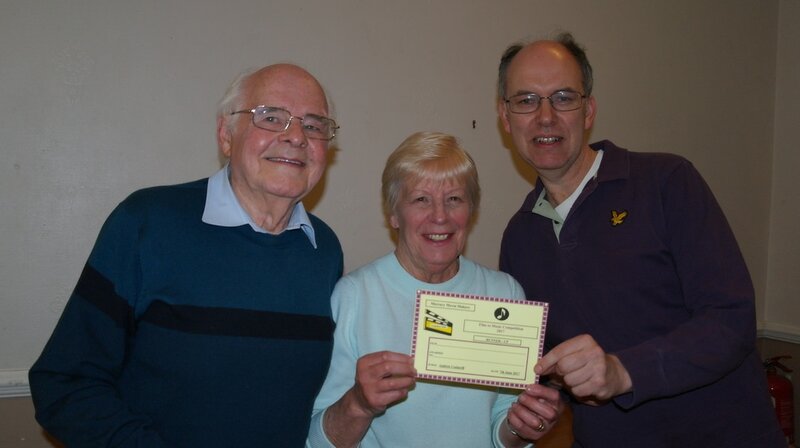 The West Riding Group held theirAutumn Event at the Wakefield Moviemakers venue. A programme of films from the Southern region of the IAC were shown. The results of the Challenge matches were announced and the winner this year was Bradford Movie Makers. The trophy was presented to Harry Nicholls. Huddersfield Movie Maker Members, Joan and Trevor Spence were tonight's judges for a very exciting challenge match between Leeds and Mercury Movie Makers. It was a good night with some top quality films on offer. As is the norm, the challenge matches consist of 3 sections being, a. Documentary Section. b. Holiday Section and c. Free Choice. Leeds won the toss and elected to go first in the Documentary Section. The film was a very informative documentary about the Swindon Rail Museum and very informative it was too. Fred and Audrey Wells produced this film which had some good camera work with a good story to tell. Roy and Jean Vickers. It was great filming with a good selection of shots covering the work of Michael Kusz (Metalman) who produced works of art from scrap metal. It really was intriguing stuff and the commentary was delivered by Michael himself. After some good remarks from both Trevor and Joan, their decision on this section was awarded to Mercury Movie Makers. 'Brugge' was the next film to represent Leeds Movie Makers and this film was produced by Harry Nicholls. The film is well known among film makers and has a formidable reputation. It was exceptionally well produced with a beautiful story to tell. 'Lochaber' was shown on behalf of Mercury Movie Makers and had never been seen before and it was a masterpiece in every way. It was beautifully shot entirely on location in the Highlands of Scotland, accompanied with an absolutely superb voice-over commentary from Elaiine Ferrie. The whole production was filmed, edited and produced by Bob Rowley. After lots of comments on this section from Trevor and Joan, once again Mercury was awarded the winning film.
' A Meeting of Angels' was the entry for Leeds in the free choice section and was the only drama/fiction film in the whole competition. It all took place in a doctors surgery and the story line was about an accidental meeting of long lost brothers who had been separated due to problems with one being born out of wedlock. It was well acted and a very good story line. It was produced as a club film by various members of Leeds Movie Makers. 'D.I.Y' was a very fast paced film showing the expertise of the 'Handyman' (Martin Sunderland) renovating a property from start to finish. The Victorian Terrace house in the film was a real run down property and not something for the faint hearted. The film was run at high speed and with a very 'pacey' soundtrack and the finished project was of a very high standard. It was done as a bit of fun, but it didn't cover up the fact that this was very much a record of a project showing top quality workmanship. It was filmed and produced by Martin Sunderland and shown on behalf of Mercury Movie Makers. Now was the time for Trevor and Joan to sum up the evenings programme as the final two films had now been viewed. Leeds entry was praised for the acting abilities of their members in the film along with a good story line. Mercury was praised for the skill of camera work and editing along with the high quality workmanship. The decision was given to Mercury Movie Makers. As the winning films are given 3 points and the runner up being awarded 1 point. The result was 9 points to 3 in favor of Mercury Movie Makers, making them the winning club for this evenings challenge match. ​Tonight was a very informative programme commencing with an introduction into the background of Bletchley Park, better known as Station X of War time code breaking fame and in particular the work on the Enigma machine and also the Lorenz SZ40. Bob put together a very complicated but easy to follow breakdown of how the work was undertaken in the breaking of the secret codes. We were then show a short film of one lady actual working on a Bombe machine as she did over seventy years ago. An explanation of the departments and people involved in code breaking. For some people it could be a bit heavy, but for anyone with the smallest amount of interest, it really was great stuff and a great credit to Bob for all the work in putting the programme together. The second half of the evening was all about codes of a different kind. The Demise of DVDs and the replacement MP4 files on memory sticks was explained. It was all about CoDecs, compression and decompression within the video signal and the ability of how fast, or slow, the editing programme could react to it's given instructions. It was all technical stuff, once again it was a bit heavy, but Bob really did excel in his presentation of the subject and all questions asked were expertly answered and explained. ​Tonight members of Mercury Movie Makers attended a meeting presided over by Vince Herke as he discussed future events and various evenings entertainment for the benefit of all the club members. Members did put forward various suggestions and ideas for Vince to consider, but all who attended agreed that he had done a wonderful job as Syllabus Secretary but also agreed that it wasn't getting any easier for him. An open invitation was sent to all, to put forward any ideas, however small, regarding guest speakers, filming projects or volunteers etc. who would put on a film show, every little bit of help, HELPS. Tonight was hosted by David Myers. He gave a short introduction to the theme of the evening and illustrated it by a short film about a boilermaker which he filmed a few years ago and the present condition of the site which has now been demolished. This was followed by Mabel Mackman’s historic “Otley”. A trip round the walls of York with all the historic sites. In the early part of the twentieth century in Yeadon, mill workers protested at their working conditions and went on strike. The story was told in film and produced by David Myers. The story of a brewery in Otley followed. This no longer exists so it’s history. A film about Knaresborough followed. The History of Adel, a district of Leeds, Wetherby and York followed. Finally a railway tale about the workings of Oakworth Station on the Keighley & Worth Valley Railway by Peter Hartingdon entitled “The Early Shift” showed the tasks involved in opening up a victorian Railway station at daybreak. Time did not allow for all the films brought to be shown. Great thanks to all who brought films to show. Much research has been made into all of them. A very interesting and enjoyable evening. Tonight was an opportunity for members to bring films in that have not been shown recently. We started with the Kent and East Sussex Railway followed by a film of Heidelberg. Every year at Haworth there is a 50’s re-enactment weekend where we have various celebrities. It was nice to see brave Ben Parkinson, one of the smartest dressed and a genuine soldier, from Doncaster. A trip to a village in the Lake District featured. This was followed by a visit to Staithes on the Yorkshire coast and featuring local artists paintings. A club film “Quiet Weekend”, where an overworked owner of a business stressed out even more by the antics of a night away. The evening was brought to a conclusion with a film taken in the 1950s about the West Riding of Yorkshire. Thanks to all the members who brought films. Once again Vince Herke, our syllabus secretary put together an evenings entertainment based on the above theme. The programme was rich and varied in it's content and most of the films were produced in the late forties, fifties and late sixties and with the odd film produced much later, It was a good programme with something for everyone and Vince earned a well received round of applause for his efforts. produced making the work for the judge a little bit more difficult. However Mike did make his decision(s) and after a short resume of all the films he gave his final choice of winning film to 'Lockaber' produced by Bob Rowley and the runner-up decision went to Richard Bray who produced a film with no actual title. 'Lockaber' This was an absolutely beautifully shot film about the Scottish Highlands with Lochs, mountains and wildlife in abundance. The camera work was superb and best of all Bob used a female narrator (Elaine Ferry) who had such a lovely Scots accent that described the film beautifully. It really was a good film. Unfortunately this film had no title. It was introduced by a series of sliding sub titles. The film also had no 'voice-over. So why was it rated so high? Well for a start the film was shot from a power boat towing a water skier at high speed. To say the 'footage' was shot from a fast moving power boat it was very steady so top marks there. Richard Bray was the producer of this film and what he did was to create the film in slow motion which created some great 'footage' with some super shots of water formations around the skier. His choice of soundtrack worked well too. It was a good film with some shortfalls but it still deserved it's place as runner up in this competition. 9th August - "Drone Night"
Bob Rowley and Martin Sunderland jointly gave a very interesting demonstration on the benefits of using a Drone. Martin opened the evening by showing 'footage' of 'how not to fly a drone'. As you can guess it was full of mishaps and apprehensions. Bob followed by introducing an actual drone with all the various controls and parameters that 'The Pilot' needs to know. After the tea break we went outside to see the Drone in flight, but sadly it could not fly. Due to one of the aforementioned parameters, a safety programme 'kicked in' and over ruled the pilots commands due to the close proximity of Yeadon Airport. Back in the club rooms a fantastic piece of 'footage' professionally demonstrated by a professional pilot/camera-man left us in complete awe of what can be done with the careful use of a Drone. Members asked loads of questions and they were very skilfully answered by Bob and Martin. The evening was a real 'eyeopener' and members showed their appreciation in the usual way. The weather during the day was horrible ,it rained for most of the day and we were wondering if it would clear for our trip . As it turned out the clouds cleared and we had bright sunshine for the rest of the evening. There we ten of us on the trip as our barge skippered by various members ,as we made our way to Gargrave . We had a relaxing time looking at the various sights and wildlife.Some of the antics of certain members have been filmed and will be shown at a later date . We were treated to fantastic cloud formations all captured on video. The whole trip lasted three hours ,after which some members went to a local curry house which brought a fantastic evening to an end. Our thanks to Bob Rowley for organising the trip and good weather. This evening Vince Herke once again presented a wonderful film show of the above,programme which were produced in the late fifties and early sixties by the Rank Film Productions, organization. Rank Films specialized in producing short 'Look at Life' films of perhaps around eight or ten minutes duration which were intended to be shown along with other newsreel items which were very popular in the cinema's at that time. Vince has obtained a huge collection of these short films and tonight he selected the following. The first half of the evenings programme commenced with 'Letting Off Steam' a black and white film ( all the films were black and white) of high speed express trains commemorating the centenary of the London - Portsmouth line. It was very snappily edited with some great camera angles and footplate shots. The film also showed the slow but sure transition to old style diesel/electric trains. Some really good clips showed the Train going through the 'Train-Wash facilities, and the training school for the drivers transition from steam to diesel engines. Another really unusual scene for me was the clip of a diesel engine being filled with fuel, a bit like a car in a modern day garage, it was great stuff. The next film was 'New Roads For Old' This film started off showing cars and general traffic of the period. One lovely clip showed an old (it was probably new then) flat bed wagon transporting a prefabricated church tower and another 'transporter delivering fully made up car body shells. The film highlighted the start of building the new Preston By-Pass. It really was good viewing with workmen out ln all weathers, working with old style tools and machinery. The mechanical concrete leveling contraption was a real 'eye opener' and the hardy workforce laid fifty five miles of motorway in just nineteen months, now that was sheer graft. Our next viewing was 'Flight On A Cushion'. This was the story of how the Hovercraft came into being. It started with the pilot, (an hovercraft trip was known as a flight) getting out from the hovercrafts trial flight onto the beach and talking to camera. The film then cut to Christopher Cockerell, the man who designed the machine. This man was a bit of an eccentric, someone like Barnes Wallis who played with golf balls, Christopher Cockerell played with an electric hair dryer and old tin cans to prove and demonstrate his theories of thrust. Back in the Hovercraft with the pilot I was amazed of the limited field of vision that he had. This was due to the spray of sea water and demonstrated the heavy use of windscreen wipers. The vessel could reach a maximum speed of thirty knots and traveled just twelve inches above sea level (if it was a calm day). As time was to prove, the hovercraft had a very limited commercial life. Next on our screen was 'Talking of Coaches'. Starting with traditional horses and coach to Blackpool's famous horse drawn tourist carriages, we were then transferred to the more traditional holiday coach doing mainly continental tours to Italy and Paris. The film showed one driver with a huge flat steering wheel (no power steering then) going round some very shaky twists and turns in mountainous areas. The travelers seemed very relaxed and well cared for by the driver. It really did demonstrate what a responsible job he had to do. In one clip in Italy, it showed the local catholic priest blessing the coach and occupants with a happy and safe journey. Apparently this was a normal thing to do. Our next screening was 'Driving Test'. This was not really a serious film of a driving test but more of a spoof type film and it did raise quite a few laughs. For example, one clip showed a young man who had just passed his driving test getting out of a 'bubble car', throwing away his 'L' plates and then getting into a souped up Jaguar and roaring away into the distance. Other clips showed very well 'orchestrated' near misses like opening car doors in front of passing cyclists, cutting corners with near mishaps with the usual (planned) disasters. Underneath it all however, it did make a serious point to our driving standards, but still it was a good laugh. All the films shown so far were in the first half of the evenings programme and after tea and biscuits we started on a different theme. The first film shown was called 'Under The Rocket' and this film was based in the vast wide open desert like spaces of several thousand square miles in a place called Woomera in central Australia.. It was a top secret military base used for test firing ballistic missiles. The film concentrated mainly on the family life of it's military personnel which included male and female soldiers who were married and who all worked together at the 'Base'. The military created it's own town which was more like a huge city. It contained schools for the children, large shops and various stores along with cinemas and of course access to church depending on your faith. It was a real 'eye opener' and very interesting indeed. It was also regarded as a top notch posting where the who family could be together. It did show a missile being launched but for security reasons, I suppose that's all we were allowed to see, it was after all supposed to be top secret. Another film on the military theme was shown next. It was called 'Return To Arms' and this was about the creation of 'NATO' just a few years after the end of World War 2. It's focus was on the training of various soldiers and regiments from the different 'NATO' countries all working together as a peace-keeping force. It did however concentrate on the young German Conscripts who had had enough of the military situation and so were reluctant to join in the various exercises. This part of the film was fantastic. It concentrated on the Mountain troops climbing and then abseiling down sheer rock cliff faces in deep snow conditions with an 'injured' soldier strapped to their back. Some unlucky conscript was strapped to a stretcher and lowered vertically over a massive drop and how he didn't slide off the contraption was to me a miracle and very frightening. Some member mentioned the poor camera-man who also had to participate in the exercise but the footage shot was just fantastic, as was the whole film and of great credit to the German Mountain Troops. The next film was also on the military theme and was called 'SUBMARINE'. The film concentrated on the lifestyle of the submariner whilst on exercise. It started with the shot of the submarine submerging and never to be seen again for several weeks whilst sneaking about near the oceans bed. Although the crew were situated in some cramped conditions, they watched films, enjoyed 'down time' and appeared to have some really good meals. The galley and cooks looked really well catered for and the meals were served piping hot in a very relaxed atmosphere. After a while the viewer could forget he was many 'fathoms' down deep in the bowels of an operational submarine near the oceans bed. This film was followed by something quite the opposite. It was called 'SHOPPING FOR A QUEEN' This film was about the vast luxury liner in the form of Queen Elizabeth. . This ship had 1300 crew looking after 7000 passengers in total luxury for their two week trans-atlantic journey all the way to New York. The galley and chefs on this ship would provide 50,000 meals during their trip, and fully explained in the voice-over were the fuel costs for the trip. the food bill for goods which arrived by the train load and the laundry bills. The 'Bill of Ladling' and the costs involved were beyond belief but it was a great film to watch, with a little bit of envy I suppose. The final film was more in the realms of the working man. It was called 'TAXI TAXI' and it concentrated on the drivers who wished to become a London Taxi driver. It really was like trying to pass your driving test all over again but very, very much harder. Newcomers had to attend lessons in the class-room, and explain routes they would use if the were 'taking a fare'. The learning curve and the test would take around nine months and additional to the class-room tuition the student drivers would travel hundreds of miles around the London suberbs on a byke learning off by heart all the addresses and streets so as to be able to become a fully qualified 'London Cabby,. The film also went in depth regarding the on board charging meters within the taxi cabs and how they were all synchronized to very exacting tolerances. The taxi company also had their own garage facilities for valeting purposes and this work is done on what seemed like a daily basis. That was the end of our evenings programme entitled 'LOOK AT LIFE FILMS' and that is exactly what it did showing all the daily comings and going of everyday occurrences that most people never see. It was a great programme put together by Vince and he was very suitably applauded by all who attended the meeting. Tonight, Vince Herke presented a selection of members films and what a good selection it was. The first half of the evening consisted of five films and all were very well produced. The first film was 'Brock Country' produced by Roy and Jean Vickers. The main thrust of the film was about the lifestyle of Badgers and there were some beautiful 'close up's' of these wonderful animals and their habitats all nicely accompanied to an easy to follow style of voice-over narration. The next film was 'Place of Crocodiles' filmed and produced by George and Barbara Thompson. The film footage was taken entirely on location in the Kruger National Park Reserve situated in South Africa. The film obviously contains shots of crocodiles but this 'footage' was shot in real style. George narrated the film and this is a great bonus to all the films that George and Barbara produce. Very good general wildlife shots were thrown in for good measure but the best part for me was a beautiful close-up clip of green woodpeckers. The backing sound track was very good too. Vince Herke showed the next film which he produced himself. The footage was shot in Maderia whilst on holiday and on a 'Dolphin Cruise' trip. Dolphins are always a joy to watch and this film was no exception. Cora narrates the film with her own unique style of presentation. 'Yorkshire Landscapes' was produced by Roy and Jean Vickers with their usual great camera-work but this time the film was enhanced by the beautiful 'silky' voice-over of Peter Byrne who described the locations shown with great panache. 'Enchanted Isles' produced by George and Barbara Thompson ended the first part of the evening's entertainment. The film was about the Galapagus Isles just west of Equador. This area was frequented by Charles Darwen and this information was highlighted in the very informative voice-over. Several of the Isles were visited and all were of great interest and easy to watch. This film ended the first half of the evenings programme. Vince has a great selection of old professionally produced black and white films and tonight we were treated to two classics. The first film was 'Night Mail' about the work of the post office 'sorting office' aboard the Edinburgh to London express train hauled by the engine named the 'Scots Guardsman'. It was a great film, full of nostalgia and bygone memories. It was produced by the GPO Film Unit and is a classic production in it's own right. It also displayed some great camera-work from unusual angles. This film went down very well with the audience. 'Ladies Only' was the final film of the evening and it was produced by the Southern Railway Film Unit. The subject of the film was 'Women at Work' during the period of 1938 to 1941. It covered the delicate and rough manual work and trades that women did during the 'hour of need'. It really was full of information sometimes forgotten and that we really did owe so much to these working ladies. Shaping Telegraph Poles by hand from newly felled trees to driving huge dockside cranes and driving tractors were all in a days work for the working Lass. That was before she went home to do the family chores. It was a real 'eye opener'. As usual Vince put together a good evenings entertainment and it was thoroughly enjoyed by all. It was another good night. The evening started with a film taken at our recent visit to Rodley Nature reserve. A short clip of a cricket match in Corfu Town and some cheerleading followed. "A return visit to the Farne Islands" by David Myers was shown next. "Birds, Beasts and Bushveldt" and "A safari to a Soda Lake" by George and Barbara Thompson followed. These Natural History films were filmed and narrated very well, were informative and very interesting. After the interval, transport films were shown, a reenactment of the Great Western Railway when they changed from broad gauge to standard gauge. A film about the Railway Hotels in the 1930s and a short film about the making of railway tickets used in the early 20th century. This evening members brought films for discussion by the club. On member wanted to discuss a problem with shutter speed for an action movie. He also had a film demonstrating a head viewfinder which was more flexible and accurate than the conventional viewfinder or monitor. One showing the Watercress rail line, the Hovercraft and the Isle of Wight railways. An open day for the garden sale of plants. One made in Madiera and Lisbon. A completed record made this year on the occasion of the handover of a new lifeboat for Scarborough. A British Rail transport film was shown of the launch of a London Edinburgh non stop six hour journey in the Fifties. This monochrome film was very well put together, edited and showed the different services that enabled this service to run, engine maintenance, permanent way, signals, catering, fireman and driver changeover, picking up water on the move and the experience of the passengers during the journey. The station master with his top hat was brilliant. Attention to detail was paramount in those days. Club members had a great deal of discussion about these films and hopefully some advice was given and taken. including an escapade in Athens during a demonstration with tear gas etc... They certainly bring their travels to life. Tonight's evening was hosted by Vince Herke and started with a series of videos from Hague Camera Systems. Hague can often be found at photography and video exhibitions and traditionally are known for producing and marketing brackets, clamps, tripod accessories, bags & cases etc, at a reasonable price. With recent trends in abandoning the traditional "fixed tripod" shots in favour of gradual or constant camera movement, Hague has added to it's portfolio, equipment to help the film maker achieve these aims: dollies, jibs, cranes, powerbeads for pan & tilt, powered sliders, steady cams. "Hague Camera Supports design and manufacture professional camera support systems and accessories in Nottingham, England. Hague Camera Supports is part of B Hague & Company Limited who have been established since 1860 and have over 150 years of manufacturing experience. The Hague Camera Supports range started production in 1994 and Hague have now become one of Europe's leading brands in camera support systems and accessories." Each of the films started with a description of the piece of equipment, how to use it and then ended with a short sequence showing the results of using the equipment. The short films were often stunning. The accompanying music was often heavy with bass! Our Bowers & Wilkins 685 loud speakers and 10", 150w subwoofer not only filled the room but also the adjacent carpark! Brilliant! The highlight of the films was one showing the stunning bike riding of Scot Danny MacAskill. The film on the right is not the one that we saw but it is close. It was made to show how the Hague equipment can improve a film. ​The only problem that I had was that I was so transfixed by Danny's awesome, daredevil bike riding that, at the end, I realised that I had not been watching for the use of the equipment! ​PS It's got a train in it! The film we viewed was called "Way Back Home"
This night hosted three competitions. The "One Minute", "Five Minute" and the "Film to Music" competition. The judge for each of the competitions was Andrew Cockerill of Bradford Movie Makers. Andrew was impressed by the number of films that were entered into the competition, and with the high quality of the film-making. In his summing-up, Andrew gave some well received comments before retiring to the local pub for a natter with some of the Mercury Members. Tonight members of Mercury Movie Makers were treated to a complete night of pure entertainment. Harry is very well known as a film maker but it is fair to say he has many other artistic talents. He is a gifted artist, (from the age of five), an exceptional pianist and also won the best performer for 'close up' magic in the country. He is also a very good video film maker which is why he was our guest this week at Mercury Movie Makers. Harry introduced himself and in his own showmanship style thought he would treat us to a little bit of magic. He really is very good. After his magic and a little bit of banter, we were treated to a couple of video films showing his skills on the piano. As a film it was pretty ordinary but the idea was to record the piano playing and that was really very good. This was followed by a very 'zappy' fashion show recording. Harry explained had to stay in one position for all his filming and could not move.around but the resulting film was flawless. His next film was the recording of a 'Forties Weekend' at Haworth. Once again this was really well recorded with great camera work and editing and a very good film all round, It was call 'Past is Present' and was full of nostalgia. The next film was 'To Boldly Go' a very well documented film about Captain James Cook and his circumnavigation in his sailing ship, the bargue Endeavour. 'Three men and a Sculpture Park' was the next film which was a project on how to make use of unusual angles and lenses for making creative shots for film productions. It was accompanied with a very good 'sound track'. The next film was shot in London and was called 'A City for all Seasons'. this really was a very well documented film production with a beautiful narration and great camera work and editing. His next film was called 'The Legacy' which was a quick, witty spoof film and did raise some laughs. The Northern Film Company produced a film which was based on Harry as a top performing magician. It was set as an interview in which Harry was asked about his magical prowess and showed 'clips' from various television recordings in which he displayed his magic. He really is very good. We were now introduced via harry's camera to the headquarters of the Magic Circle and it's fantastic museum of artifacts and memorabilia of world renowned magicians, past and present. It is quite a rare thing to see behind the closed doors of the magic circle. Brugge was the next film to be shown and as was now the norm, it was beautifully shot and narrated giving a wonderful insight to this glorious European treasure. The last film was about a city much nearer to home. It was named Buskers and very aptly about about buskers entertaining the public in the market place and streets of York. They really were very professional and a pleasure to watch and that summed up the evenings entertainment from Harry. Now to summarize his work as a film cameraman and editor. All his shots were rock steady and well framed, accompanied with good clear commentaries and very well edited. It really was a good nights entertainment from a very competent showman. There were about 14 entries for tonight's competition and all were very good. The outstanding winner for the competition was John Wheeler who did a superb collection of 'quick fire' catchphrases. The collection was played so quick and fast with no break in between that I was unable to keep up with the numbers, hence my guess at the overall number of entries. What did stand out was that John's catchphrases were clear winners overall and the result was not down to just one of his catchphrase's. Bob Rudd entered two catchphrases and Bob very nicely was voted 'runner up' for the evenings competition. It was anticipated that we would need some extra films to fill the evening and so George Thompson brought along a superb film about Rodley Nature Reserve. It was a great film of historical importance as it clarified how the 'reserve' came into being and high-lighted all the important events that makes the reserve such a success. The 'talking head' shots along with good camera work made this a very easy film to watch. Roy and Jean Vickers brought along a couple of films. The first was a very colorful film about Europe's largest exporter of flowers, in particular Tulips from the famous gardens of Kukenhof in the Netherlands. The second film was called 'This Beautiful Dale' and featured many aspects of the Dale in and around the church and local pub at Hubberholme. Both these films were really well covered with great camera work with good clear commentaries. Members were treated to three films from the Bristol Film and Video Society. It has to be said that their film choices are a 'bit on the dark side' and the subject matter is not every-bodies cup of tea. To their credit the camerawork was absolutely spot on with great camera angles and lighting and the whole productions were very professional indeed. As usual at Mercury Movie Makers, it was a good night. 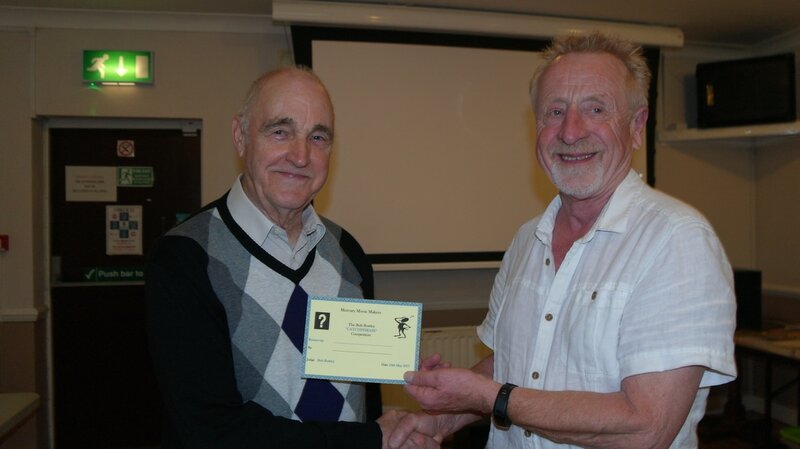 Bob Rudd receives the runner up certificate for his two adverts,"Roberts Ropes" and "Springmuck"
Hosted by Barbara Thompson the club had an evening filming at Rodley Nature Reserve. In spite of the poor weather forecast we were treated to a dry evening. A battery of cameras were out, six in all to capture the wild fowl in their natural habitat. We were treated to a glorious sunset at the end of the evening. We will look forward to seeing the results of filming at a future date. Thank you to Rodley Nature Reserve for allowing us a private evening. This evening Mercury Movie Makers were in for a treat. Bob Lorrimer paid us a visit and showed us an example of his work and also gave introductions to each film, with the "how and why" he made it. We started with one of his popular films, "The Trap" where, in trying to catch the pesky rodent, tables are turned on him. "The Time Trap" a box which cannot be stolen with good effects and strange story. "Dream Car" radio controlled cars and a phantasy dream of an 11 year old boy. "The Drill" watched by many on You Tube & Vimeo brings shivers to your spine imagining where the drill will strike.The perils of DIY when a less than careful handyman undergoes a series of mini accidents. "The Egg" A Bob Lorrimer classic, a man reduced to self catering wants to boil two eggs, what can possibly go wrong? "Eggsport" A physical experiment with everyday objects, glass vases and hard boiled eggs! "Slug Invasion" a very good subject in animation not made by Bob but very much appreciated by him. "Go with Blue" As Bob explained it was another experiment. He delves into two classical artists paintings, a constant narration explaining details of these works of art. "Hey Paula!" Two singers, a popular song, the two singers being Bob with perfect lip sync. Brilliant editing and good close ups. "The Lost Archbishop" a film made by a professional friend who was fortunate enough to be able to film the discovery of the coffins of Archbishops of Canterbury who were discovered in a hidden crypt of a church near to Lambeth Palace in London. Brilliant interviews. "No Way Up" A Bob Lorrimer drama/comedy based on the "Malta Story", Bob as an RAF pilot , a stiff upper lipped hero and his Maltese girlfriend, trapped in a bomb blitzed cellar. Well edited with the dialogue flowing well. "The Folks who Live on the Hill" A film to a well known Peggy Lee song, filmed in 50 frames per second to give it that leisurely pace. A very personal film to that family but demonstrating the close up shots and unusual angles. "Still Lives" More close ups of wrought iron gates, bowling greens, mineral water cleverly edited together and demonstrating the advantage of using an SLR camera and special lenses. "Writers Block" A post struggles with his words but later gets it almost right, then the surprise! "Blue" An excellently produced sic-fi film. An electronic toy and "The Man" become bonded in friendship until eventually things get out of hand. This film rounded up the evening.The evening demonstrated the excellence in Audio quality and Visual quality by using a range of cameras, microphones and the art of Focus Pulling. A brilliant evening. Thank you Bob. A long serving member of Mercury, Dudley Wilcock, selected our programme for our archive of films. The evening started with a music video followed by a drama of a lady with an absent husband discovering her own taste in food, following recipes from leading chefs. A documentary of a canal boat adapted for the disabled and running trips on the Leeds & Liverpool Canal, a holiday film about New Zealand, The story of Shipley Glen and it's tramway and an Out & About of events in West Yorkshire. After the interval we started with a humorous film made by a new member at the time, demonstrating some of the Do's and Don'ts of film making. A holiday film of Norfolk, a cruise to view the Dolphins off the South African coast followed. A documentary of people taking a dip in very cold water on New Years Day in Ilkley and Otley followed, a trip to Bristol which included the waterside and the balloon festival with spectacular views of the balloons lit up at night. A Holiday in the Seychelles followed. A film to music of Vincent van Gogh to the Don McClean song "Vincent" and a film to a poem about a conker finished up the evening. A splendid selection of films from our 2004 and 2007 archive was thoroughly enjoyed by our audience. Well done Dudley. This evening was to be a practical evening for formulation of ideas for forthcoming films. It had been decided at the last committee meeting that more effort should be put into the production of projects for club films. It was generally agreed that acting would be greatly improved if done by a competent actor and jokes or a funny script being told by a genuinely funny person. With this in mind we all agreed that in all future club productions, the right person(s) would be got for the right role. Having cleared this matter up, Mick Varley who was running the evenings session, decided to move on and each person who attended (13 members were present) would forward an original idea for making a club film. Bob Rowley stressed we wanted a good selection of ideas and this we did get. Projects suggested included Dramas, Historical Documentaries, Comedies and a Rom-Com. Members who had suggested projects were asked to prepare a Scenario and Script in preparation for a future meeting yet to be confirmed. There was no rush as we felt we had to get this right. One point of advice was given by Martin Sunderland who pointed out producers should give more attention to location sites and multi camera shoots. All this 'film chat' created a good feeling that we were about to create some good creative works. We will just have to wait and see when we find out just what films were produced. This was an absolutely fantastic evening. Dr. Ian Dewhirst, to give him his correct title, gave members of Mercury Movies an evenings talk of social life in the 'Fifties' and what a colourful evening it was. Full of anecdotes, amusing facts and the obscure life and dread of the NCO's for the National Serviceman doing his bit. It was a great laugh for our members, but very hard for the unfortunate soldier who didn't want to be there. Now here's a very funny thing. Everyone I have spoken to about their National Service, says they are glad they were enlisted, now it's over of course. Yes it was a great night being entertained by Ian and entertaining it was. I have never met anyone who can relate any type of situation like him. Absolutely full of facts, humor and wit. Dr Ian Dewhirst does many social talks to the general public and if you get the chance to hear him speak, don't miss out, he's great. ​As many members already know, Ken Wilson and his good lady wife Carroll are the founder film directors of Phase 4 Films. They have been successfully making a wide variety of many different genres of film and very good they are too. Carroll was working tonight so Ken came along himself to keep our members entertained for the evening. I have known Ken for a long time now and I am constantly amazed how he can constantly keep coming up with different ideas, both for comedy or dramas and tonight we had a selection of both. Of the selection of films shown we were given the 'background' to some of the productions by a 'behind the scenes' presentation by many of the actors involved. This is Ken's strong point. He has surrounded himself with some highly talented actors who do great justice to the work in hand. Obviously the Films were very well shot with great attention to detail and especially the locations, all followed up with very good soundtracks. I could fill a book describing his films but it was nice to listen to Kens easy going manor of how he did this or how they did that, It was all very informative and credit where it's due, it really was a good night. and was filmed in the 'sixties' in Black and White for good effect. It was full of effects which are simple now but back when the film was produced it was all cutting edge stuff. One spoof film was about Esholt Village of 'Emmerdale' fame and they even got Geoff Druett from ITV to take an introductory part in the production. There were one or two drama productions and also one or two 'Freddy's Follies'. Freddy's Follies' were quick 'one minute' spoof films, like being locked out of a car and the wife turns up and just gets in on the passenger side. This happens when 'Freddy has been trying to get in his car for some time. All very predictable, but very well filmed in quick fire style. All in all it was a very varied and relaxed evening with Martin adding many comments which made the evening flo' very well. It was a good night. Annual Show. Tonight was for viewing the remaining two films of the annual show and really should be read following last weeks appraisal. The evening was presented with great applomb by Roy Vickers and the two films shown were 'Unforgiving' produced by Dave Morton and 'Right Said Fred' produced by Dave Myers and it must be said both producers are extremely talented film makers. Now for the first time Mercury Movie members have seen all the entries to the competition and the results given by Ken and Carol Wilson are as follows. Best Film in the Competition. The above are the results of a very competitive selection of films and praise must go to all the film makers for their entries. 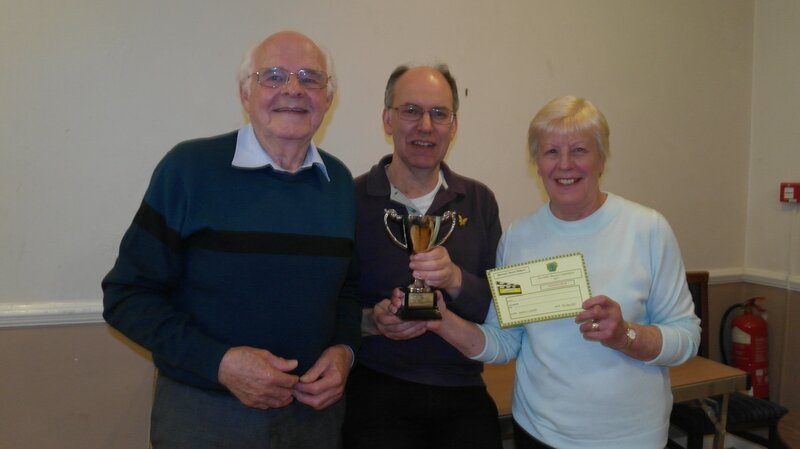 Unfortunately the actual presentation was very 'hit and miss' as so far their has been no presentation of the awards of Trophies and Certificates has yet been made, as the member responsible for the subsequent engraving of trophies has been indisposed. When the actual presentation takes place, I will keep you all informed, plus any up-dates. After the showing of the competition films, Roy Vickers presented a selection of excellent club films produced by various members of Mercury Movie Makers. Martin Sunderland offered his thanks on behalf of the members to Roy for doing an excellent job on the evening and also along with Jean for organising the Annual Competition. Tonight members of Mercury Movies were given the opportunity to see some of the films from the various categories of our annual competition.. We were shown fourteen films in all and the remaining entries will be shown next week when 'hopefully' the cups and trophies will have been engraved and certificates printed. The films we saw tonight were 'The Splendour of Venice' which was produced by Mick Varley and really did have some stunning videography. This film was followed by 'Fountains Abbey and Studley Royal' which in turn was produced by Bob Rudd. 'Falkirk Wonders' followed which was produced by Roy and Jean Vickers. The next film on show was 'The Island of Crete' produced by Allan Vanston as was the next film 'One Fine Day'. Next on the scene was a film produced by Martin Sunderland entitled 'F1, Win or Lose' Bob Rudd Showed his production of 'Greenwich' and this was followed by 'Easby Abbey' which was produced by Bob Rowley. 'Snowden' was another entry produced by Bob Rowley and so was the 'Isle of Mull' On a different note Roy and Jean Vickers entered their film 'Special Delivery'. Bob Rowley entered his film 'Zip It' and another film by Roy and Jean was 'Feathered Friends'. The last film of the evening was 'The Barden Pride' produced by Bob Rowley. This was a very exciting and varied film show and next week we will be able to see the remaining entries to the annual competition. I must point out that the competition has different sections for competing such as Holiday Films, Travelogue films etc etc which is why some members have entered more than one film. Next week we will see the remaining films and it will be publicly announced the winners of the various categories and also the overall winner of best film in the annual competition. It's not to be missed and hope to see you all there. Annual Dinner / Competition As can be seen, Wednesday 15th March was the evening for our annual dinner which was held at the Baildon Golf Club and a very nice meal it was too. 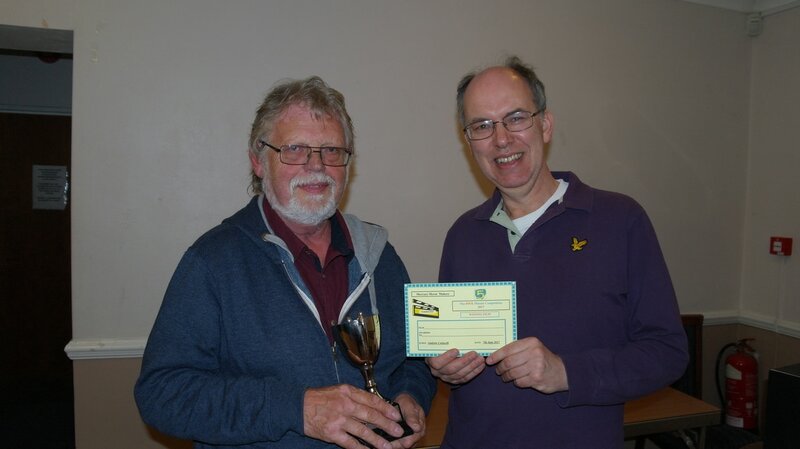 It was also the evening when our members discovered who had won (or lost) any trophies or accolades for their hard work when entering the clubs annual competition. The judges for this years competition were the very popular and well known film makers Ken and Carol Wilson, better known as producers of Phase 4 Films. Ken and Carol judged the entries to the competition in private at home and the results were kept secret until the annual dinner. Ken and Carol always give a very relaxed reading of the competition results but actual remarks, advice or otherwise are in sealed envelopes for the personal attention of the individual entrants to the competition. All tongue in cheek stuff. What can be said is that the judges would give close scrutiny to the film entries and give a very fair appraisal of the films contents. Bob Rowley our president, who incidentally organised the whole evening and did an excellent job of it too, thanked Ken and Carol for agreeing to such a difficult task. The whole evening was very enjoyable, Mabel Mackman ran the raffle, the judges were good, the meal was excellent and we were in good company. It that's what made it 'a good night out'. Guests this evening to Mercury Movie Makers were Roger and Maureen Parnel, members of Huddersfield Movie Makers whose long time hobby is comedy and in particular Laurel and Hardy (black and white) films, some of their films are in colour. Roger did the presenting with the odd nudge from Maureen and very knowledgeable they were too. They are both long time members of the 'Sons of the Desert' a fan based society who meet regularly to watch and discuss the great films produced by Laurel and Hardy. I think it's fair to say the evening was very much a '50/50' discussion and film show evening. Roger spent quite a long time when opening the evening's entertainment by giving a very informative background with puns and anecdotes to Stan Laurel and Oliver Hardy. It was all very entertaining stuff. Three films were shown of very different subjects but all were supremely funny. What did amaze me was the extremely slick editing and timing of the stunts performed by arguably the worlds most famous comedy duo. Actually four films were shown as Roger decided to show a 'Daffy Duck' cartoon as an additional film. Each film was preceded with an in-depth reason for showing the film and telling the audience what to look out for and where or how things were done. It was a good evening all round with plenty of laughs and questions. It soon became obvious why the 'Sons of the Desert' fan based society is so popular. ​No meeting tonight at Mercury movie Makers. Members are invited to West Riding Cine Group Annual Show. 22nd February - Vince Herke "My Filming Past"
Vince Herke is a relatively new member to Mercury Movies and gave a very interesting introduction into his early years of making films from 'Way back when'. Much of the show was 'clips' and explanations of the backgrounds involved. Some of the effects were 'Old Hat' by modern day standards but it has to be said, it was all clever stuff back in those early days and it brought much conversation between the members reflecting on the difficulties of early film editing. The programme was very diverse, from an attempted murder drama of a girl being chased by a 'Demon' through the woods and finally escaping to getting back home and answering a 'Knock on the Door' with a good twist. Another entirely different type of drama spoof was all about being burgled and the clues left by hapless home owners. It was done in a corny, funny way, but the message was clear and the female voice-over was great. The show had a mixed and varied selection and the informal chat between clips moved the evening along nicely. The best film of the evening for me was a film produced in conjunction with North Yorkshire County Council and the film was called 'Liberty Wallet' Liberty Wallet is a small yellow wallet with various pages inside like a small book. The film explains that many young people have varying disabilities which are not obvious to the casual observer and how this causes difficulties in every day life, particularly on public transport and this is where the film excelled. The film shows various different people at different places, holding out their highly visible little 'Liberty Wallet' for the attention of the bus driver who knows the potential passenger may need extra time and help. The passenger may have hearing or speech difficulties for example and the little Liberty Wallet contains all the information required, for example pre-printed addresses of where to get off the bus, The list of uses were endless and the bus driver in the film was very good. Obviously the transport company took pride in their drivers participating in this scheme and helping in the production of a highly regarded film. It makes people aware of certain hardships some one may have which are not noticeable to the general public and for that reason alone, I thought this was a fantastic film. Fourteen members of Mercury Movies were in attendance for an evenings viewing of Stoke Cine & Video Society's Show reel. Sixteen productions of vastly different qualities in production techniques were in evidence. In fairness, one film was produced in 1995 so it was only to be expected it would not be up to current standards. 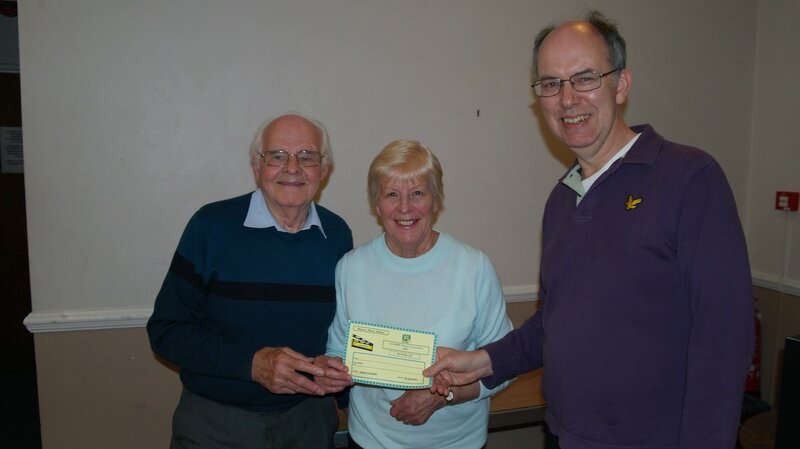 The first film was 'Biddulph in Bloom' and this was a really well produced club project and 'you've guessed it' it was about raising funds and providing colour in the old mining town of Biddulph. It looked really good in 'widescreen' and the voice-over commentary was great. 'Blues and Thirds' followed Biddulph and was a film to music and using a montage of visual effects with the use of Blue monochrome clips. It was a very unusual approach to this kind of film. 'Candlelight' was a drama feature film revolving around the aftermath of a car crash and where people died. It was all 'heavy stuff' but it was well captured with a good storyline going backwards and forwards in time. 'Chicken' followed the drama and it was a bit dated and this was followed by 'Carnival' a film to music at a carnival. 'Mau'ing the Saggar' an old film which was a documentary film about the making of a Saggar for use in the Kilns when producing clayware pottery. It was a great film and went down very well with the audience. 'Adrift' was a short spoof type film with a very funny end twist. 'Skyline of Nepal' is what it says on the tin. It was a film all about Nepal with it's wonderful culture and magnificent views. This was another 'winner' with the audience. 'Sat Nav' was a very funny film to a poem and worked very well. The end 'Twist' in the tale also worked very well. 'High Eye' was a short film capturing the moment with great Sky High views over London. 'She' was the last film in the first half of the evenings show and was a film to music and a song of the same name. It was well filmed but the final line spoken by the actress. was out of context with the song and didn't work well. That was a mistake. 'Deadman's Chest' was a brave attempt at making an old style pirate film but the acting was limp. The make-up was good as was the script but it was just too slow going and very predictable. It was an old film and I think members would make a much better production with all the latest kit currently on offer. ' Sad Tale' was on the list but for technical reason wouldn't play. 'Scarecrow' a story being told by a 'grand parent' in a 'talking head' style of film. This really was a good story although the acting by the 'Boys' was a bit lagging. Having said that, the final twist by the 'grand parent' worked very well. 'Pineapple Promise' This was a bit deep for some members present. Basically it was about a young teenage girl being taken ill after the party and her boyfriend was asked to go to the shops, as she had a craving for a pineapple. When he got back with the pineapple, she was dead. The last film on offer was 'Between Ourselves' and only lasted 58 seconds, so not much can be said about it. The whole show reel was a very mixed bag with some new and some, well they were past their sell by date. In fairness this was a very typical show reel for many clubs who struggle for new members and rely on old archive films from their individual library of films. 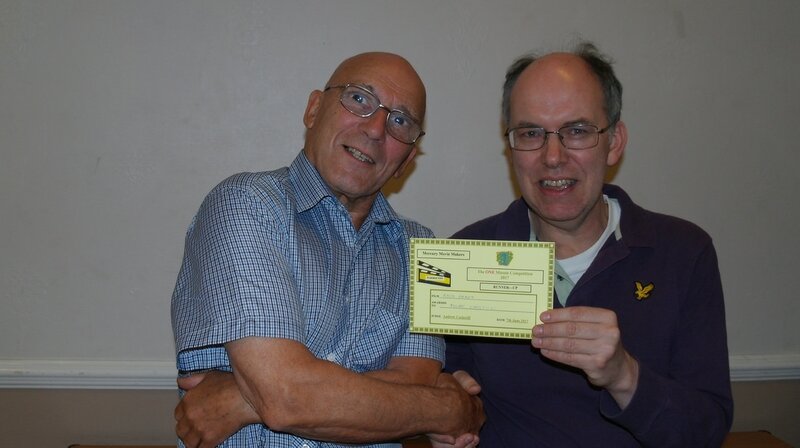 The films were well received and provided a good evenings entertainment for our members and thanks were given for the members of the Stoke Cine & Video Society. ​Click Here for more details of Stoke Cine & Video Society. Sad to say, it was quite a poor turn out this evening with only fourteen members turning up, although in fairness it was mostly down to Colds and Flu. It was sad in two ways too as they missed a real treat in this superb compendium of films from what seems to be a very forward thinking movie makers club. There were fourteen video films on the show reel and all were to a very high standard in terms of production and presentation. One difficulty for me due to time limits, were that all the films were played straight through allowing no time for jotting down notes, but suffice to say, it was pretty good viewing. The show opened with an advertisement for the club which had obviously been made for a competition to the theme of an advertisement and it worked so well by using it at the start of their show-reel produced for distribution. The advert was followed by 'A Tale of Two Villages' filmed in Malta and produced by Rod Willerton. This was followed by a 'tear jerker' Just Another Love Story' produced by Niel O'Neil which was actually a true story. 'The Nature of Nepal' followed which was produced by David Smart and had some spectacular views. Rod Willerton produced a film 'The Black Stuff' which was based around the Guiness brewery museum. 'Red 7' was a club production and was a very thought provoking film with a very unexpected turn of events. 'A Taste of Pantanal' produced by Barry Mack was next on view, all about Brazil and the South America's it was full of fantastic scenery and unusual clips, such as meeting a herd of 900 cows on a back road, being pushed along by their drovers. The commentary explained they had been on the road for seven days and nights. The last film before the interval was ironically 'An Advert for Wine'. Just like being at home when the adverts come on in the intervals. Adverts can be annoying but this one was a very good 'tongue in cheek' production. The second half of the evening's programme opened once again to another advert. This film was 'Dyno Bod' a short spoof film about a blocked drain. Number 30' was a 'talking head' type of film which was about an older man talking about his early days as an apprentice joiner. What made this film stand out were the amazing computerized graphics used to illustrate past moments in time. 'Driving the American Dream' was all about the Ford motor car company and how it all started with Henry Ford. It was produced by Rod Willerton and filmed on location at the Henry Ford Museum. ''A Prayer for Today' and it lasted only 58 seconds and was the final film of the evening. It was a very quick witty film and if you blinked you missed it. And so that is the end of the showing of the Haywards Heath Movie Makers Showreel. It is fair to say that production of all the films bar none were of a very high standard and all the producers of the films are to be congratulated. All the films were well edited and nicely framed. All had good sound tracks and the acting where needed was first class. My only personal reservation was the use of 'iffy' sub titles when they just weren't needed, when the commentaries already explained what the viewer was watching. That was a big mistake to such a set high calibre of quality films. Click Here for more details of Haywards Heath Movie Makers. First of all I would like to confirm that the 'Film of the Year competition is over and the results will be publicly announced at the annual dinner and presentation evening to be held in March this year, so once again we will just have to wait and see. Best of luck to all the entries. Tonight's programme was presented by Vince Herke who had selected a wonderful selection of steam train video films. It has to be said that not everyone is particularly keen on steam train films but these were different. It was all about our social history and the audience loved it. There was one film that showed a cycling organization arranging a tour by using, you've guessed it, a steam train. It was an ordinary passenger train with unusually the addition of two or three goods wagons which were specially kitted out to carry cycles suspended from 'rubber lined hooks' The cyclists were taken as passengers to London and then peddled in groups up to Warwickshire. It was all done in old black and white, four by three format and it was great, full of nostalgia, punctures and cyclists dressed in 'plus fours' baggy shorts and every thing else the fifties dress code had to offer. Another lovely film was about a family going on holiday. It was in the days when people would have sent their packed suitcase with clothing and belongings on ahead so as to be at their destination when the family arrived. It was very tongue in cheek stuff as the suitcase was badly packed and didn't arrive on time. People would often leave 'past destination' and 'address' stickers on their cases as a sort of 'momento' .for past holidays and so confusing the railway porters and staff. Another film was about 'fifty's' York main station but with a slight difference. It was presented through the eyes of the old style station manager, complete with bowler hat and how he 'surveyed his kingdom' from his office to going walk-a-about around the station platforms and checking the smooth running of the arrival and departure of steam trains which occurred every four minutes. This was nicely covered by the electronic surveillance in the signal boxes, great stuff. After the interval we saw a transport film with a difference. It was about an old style 'forties-fifties' haulage company hauling a ships propeller from Preston down to a steam ship in Welsh dry dock. The old wagon (and Trailer) broke down on the way with a broken spring and was repaired on the spot by expert mechanics. It also showed the early type of transport cafe that the driver and his 'mate' used. Another film with a shipping theme was narrated by the late Bernard Braden, famous for the television programme, 'The Braden Beat' It was all about tourist passenger steam ships around the coasts of Clyde and it's fantastic scenery Unfortunately all the films in the programme were run in continuous succession with no lights coming up between each film showing. I couldn't make any notes in the darkness and anyway I was glued to the screen, captivated by the beautiful, mostly black and white footage of yester years every day life which can so easily be forgottten. Fortunately it was all captured on film for all to see and thanks go to Vince for putting together such a wonderful evenings entertainment for all to enjoy. At long last we saw the last few entries for this competition and what a long slog it has been. That's not to say there were some wonderful films of many varying subjects and locations and much praise was given to the producers of the video film entries. All the voting forms have been collected now and John, our club secretary has the enviable task of sorting 'the chaff from the wheat' and announcing the winner of this years Film of the Year competition. 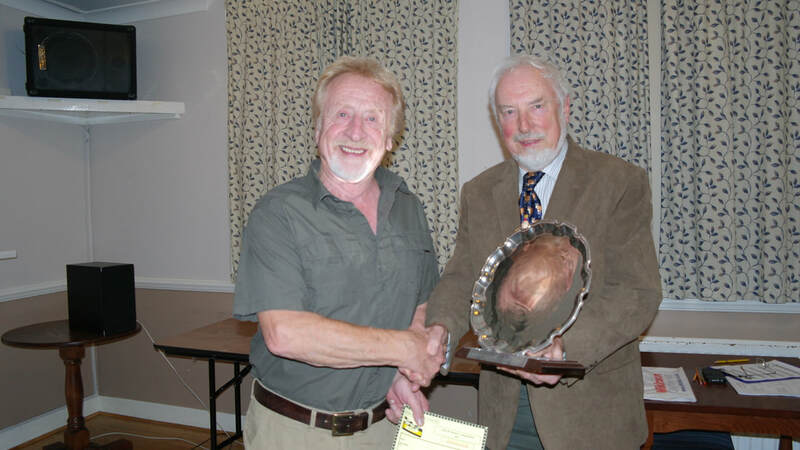 It will also be announced, the actual name of the trophy/cup, which was donated by David Smith our past president. So watch this space, I think it may well be a surprise to everyone who participated. 'Film of the Year' - Part two. All the films shown in these two competition nights are ALL the films shown throughout last year from January 1st to the Gledhill Trophy, held at the end of October. The reason David Smith chose this subject is because the winners of the normal competitions are the opinions of one person, (even if the judge is very good, not everyone may agree with the choice), the winner was down to that one person. So David Smith thought it would be a good idea to replay all the years competition entries for all our members to decide between themselves to which they considered the overall winner, using any context they wanted. So there you have it so far. The update is, we still didn't get to see all the films and so we are going into the third week of screening which will be held next week. Hopefully, John who is coordinating the competition may have time to evaluate the numerous and varied results and we may get a decision on the best film on the night. We will just have to wait and see how it goes. This year is the first time the competition has been held. It was the 'brainchild' of David Smith who suggested that all the winners of the past years competitions (2016) should be entered into a final competition so as to seek out the best of the best. 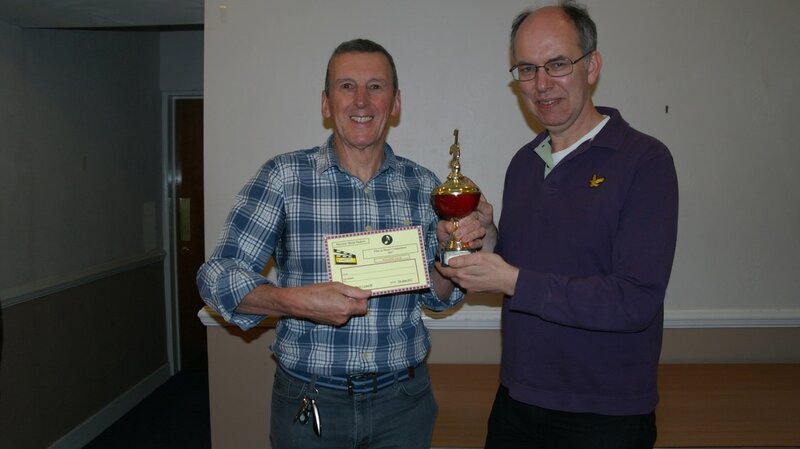 The competition was run and organised by our current club secretary, John Wheeler who has done an excellent job. It was decided that this and all future 'Film of The Year' competitions would be judged by all the members present and John had devised a list of all the films and explained the very simple 'marking system'. At first glance it would appear to be a very difficult task as their were forty-two films, all of different genres and various lengths to be considered, hence the reason for this showing, being 'part one'. Next week will be the showing of 'part two' and it must be said that I am looking forward to it as the standard of film production was very high, which when you come to think of it, they were all winners of last years various competitions. I for one changed my mind three times as I thought I had a winner and then the next film comes on and,......well that's the way it goes and we have only another twenty-four films to view. It will be a great night and I just can't wait for the outcome. The Annual General Meeting. The meeting was well attended although more members would have been welcome. The evening started very well with our president Bob Rowley welcoming members to a happy and prosperous new yew year followed by a very humorous vote of thanks to all the committee members for their input into the smooth running of the club. The only relevant changes to the committee was that Bob Rudd has decided to step down as our syllabus secretary as in his own words 'it's time for a change and some fresh ideas' Bob was pleased to announce that Vince Herke will be taking over the role of syllabus secretary and there would be a smooth transition where they would be working together in the handover. Bob got a huge vote of thanks from the members and Vince was heartily welcomed into the fold. Bob also acts as our webmaster for the club and he will be training up Vince on the pro's and con's in the change over. As for the syllabus of 2016 Bob outlined in detail where and what we had done during the year as well as who had visited the club to give shows etc. It really did sound impressive and made members realize what a time consuming job the syllabus secretary is. He also followed up with what had been arranged so far for the coming syllabus year. This would be a great help to Vince and I am sure very much appreciated. 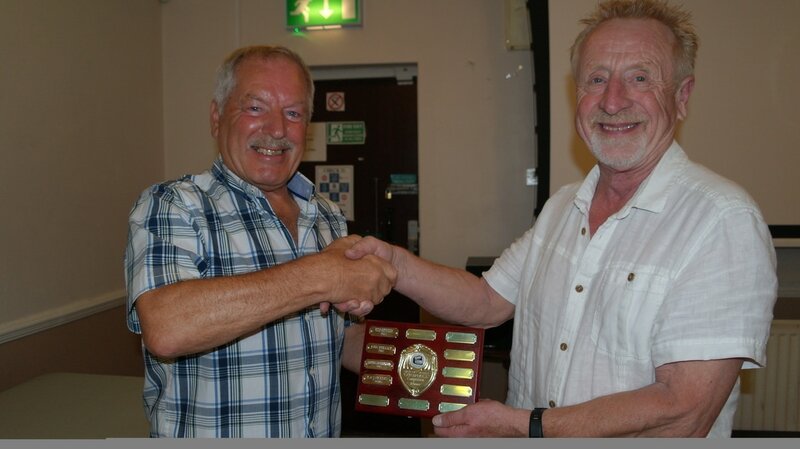 Bob Rowley had to step back into the chair as he is the social secretary as well as being the president. He outlined what we had done in the past year and asked members if they would like to repeat any of the varied visits or create new ones. He asked that all members present to have a good think of what or where they would like to go and let him know ASAP. He also asked how members rated the Christmas Dinner held at the Stansfield Arms. Those who attended voted the meal to be very well served and a huge success and were more than happy for Bob to organize the meal again for this year at the Stansfield Arms. Roy Vickers is the competition secretary and he reiterated in depth the pro's and con's of the job. The biggest problem for him is the shortage of other club members willing to judge our members films and it was recognized that this is a problem throughout the West Riding Cine Group. Allan Vanston who is a Mercury member is also the President of the West Riding Cine Group and he confirmed this matter would be raised at their next meeting asking for detailed up to date lists of members willing to judge. Roy really does a great job but he confirmed that his wife Jean was of enormous help and could not manage without her. He asked for and got a huge round of applause for Jean. Allan Vanston is the publicity officer and it is my duty to record and appraise the eveniings entertainment at our club. It is purely my personal opinion that gets recorded although I do try to capture the feelings of the members present which in turn is put on our clubs web site under the heading of 'Events'. Anyone can read my findings from way back to the beginning of 2016 so it's there for all to read. I also report to the local newspapers but all now seem a little reticent to give advertisement space to clubs like ours in general stating lack of space. There was a general discussion and banter about the evenings meeting and John Wheeler closed the meeting about 9 40pm. John Wheeler. Now John is the clubs secretary and Bob Rowley in his opening vote of thanks stated just how important the secretary is to the club. John said very little tonight as from the beginning he was working hard noting all our comments and logging them down in great detail. He has to do this so every week he can be in a position to report on any relevant queries, answering many questions that get asked at committee meetings and so on. He is a great secretary and we are very lucky to have him, and that goes for the rest of the committee too. We are very lucky and probably that's why Mercury Movies are so successful.